Damascus (AFP) - More than 20 civilians were killed Sunday in central Syria when a landmine left behind by jihadists exploded under a van, the state news agency SANA said. 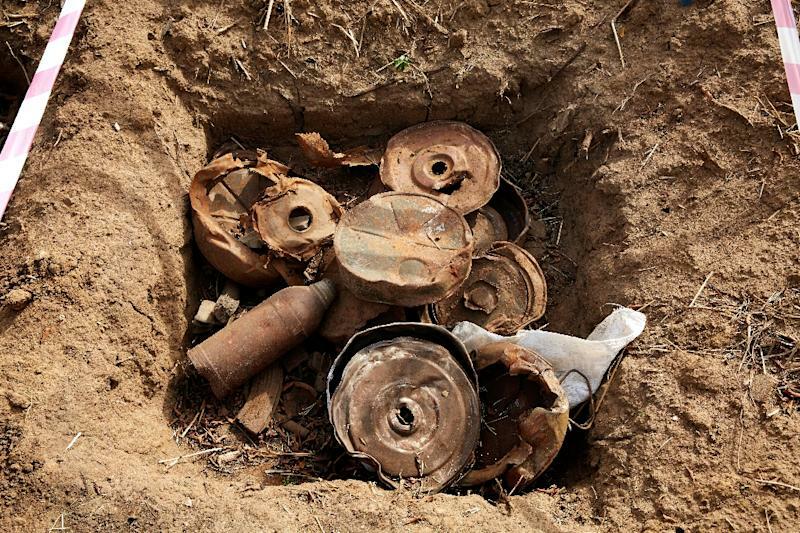 The ordnance left behind by the Islamic State group in the town of Salamiyeh killed farmworkers who were heading to a region in the Hama province to pick truffles, SANA said, citing local police. It was the second such incident since February 8 when a landmine that had been planted by IS in rural Hama exploded killing seven civilians, SANA said. IS had a presence in Hama's countryside before the Syrian army drove the jihadists from the area in 2017. Before withdrawing they had planted mines in the area and rigged buildings with explosives, a tactic they have used in other areas as well. More than four years after IS overran large parts of Syria and neighbouring Iraq and declared a "caliphate", the jihadist group has lost one territory after another and are left with only a tiny patch in the village of Baghouz near the Iraqi border. The US-backed Syrian Democratic Forces are closing in on jihadists defending their last sliver of territory. The battle for Baghouz is now the only live front in Syria's war, which has killed more than 360,000 people and displaced millions since 2011. Beyond Baghouz, IS retains a presence in the vast Syrian desert, and continues to claim deadly attacks in SDF-held territory.